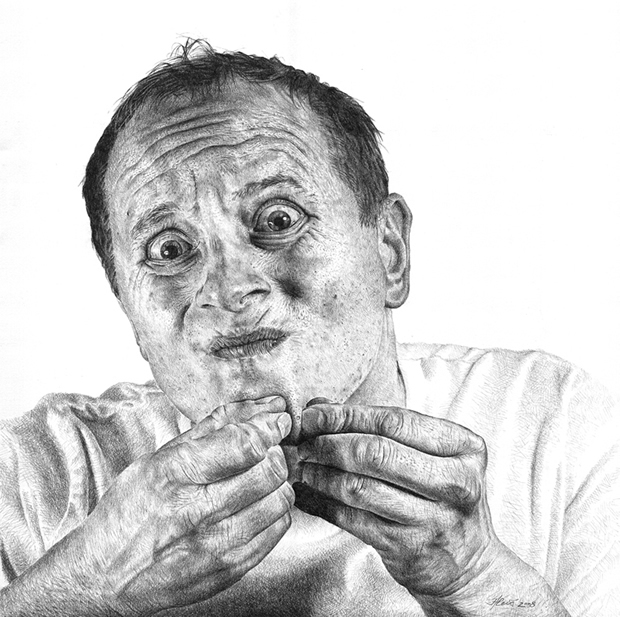 is a freelance artist, sculptor and photographer who specializes in hyper-realism. 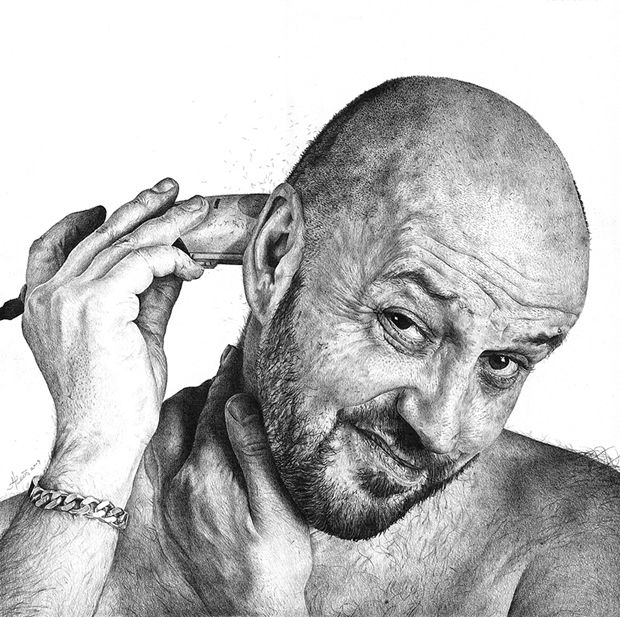 Living and working in his home town, it is Leis’ drawings created in pen and pencil that have brought him the most attention, with each piece containing an almost photographic level of detail. 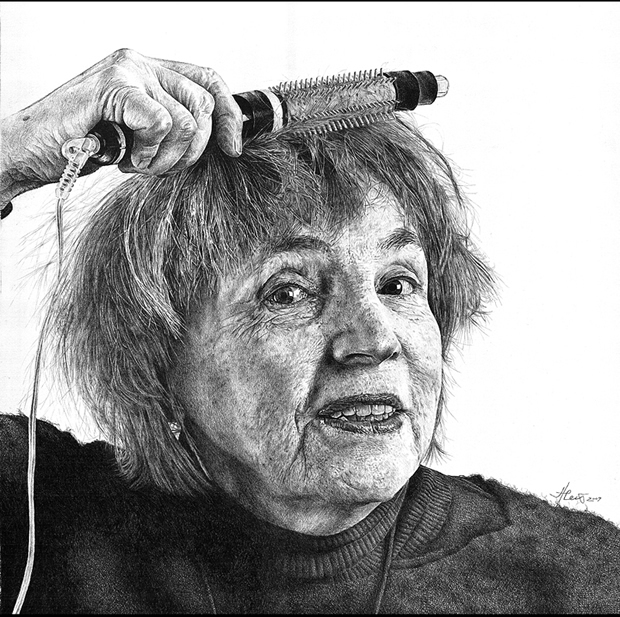 Capturing the lives of ordinary Estonians going about their everyday business, Leis’ drawings bring excitement to the monotony of everyday life. 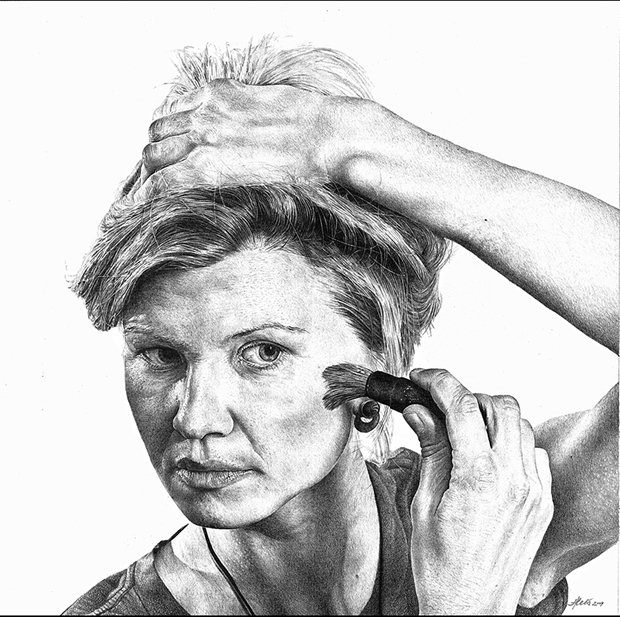 In his “Everyday Reflections” series, Heikki Lies creates drawings of people’s daily encounters with the bathroom mirror, bringing to life the things we generally do in privacy, from shaving to squeezing spots. 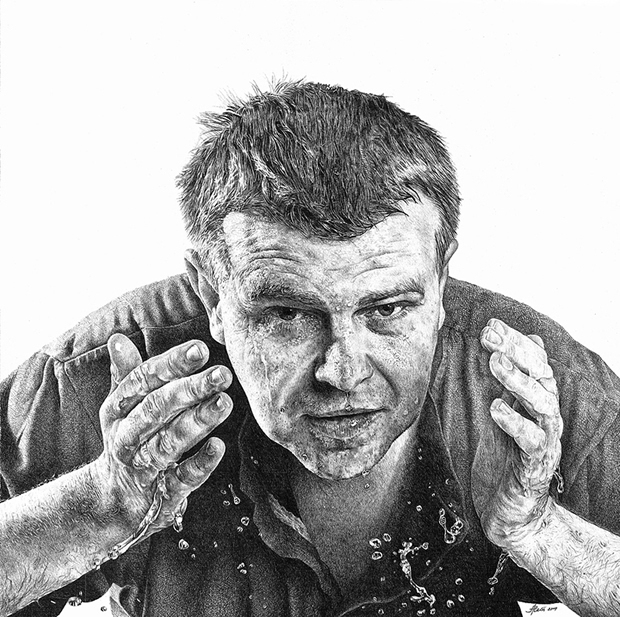 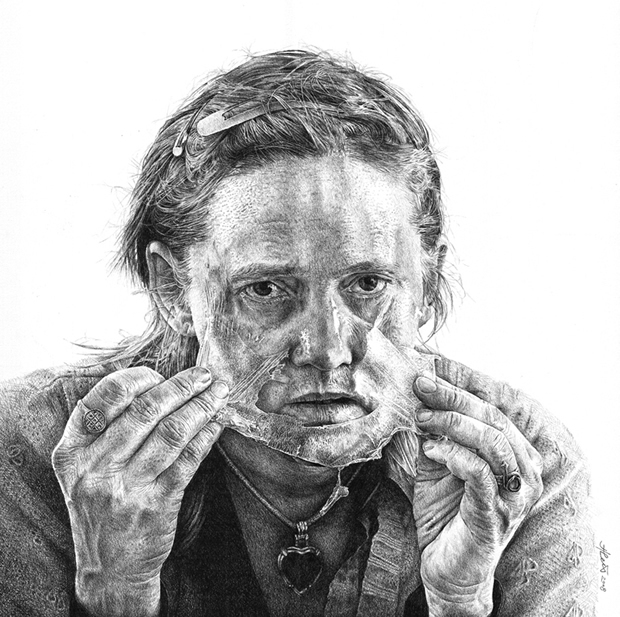 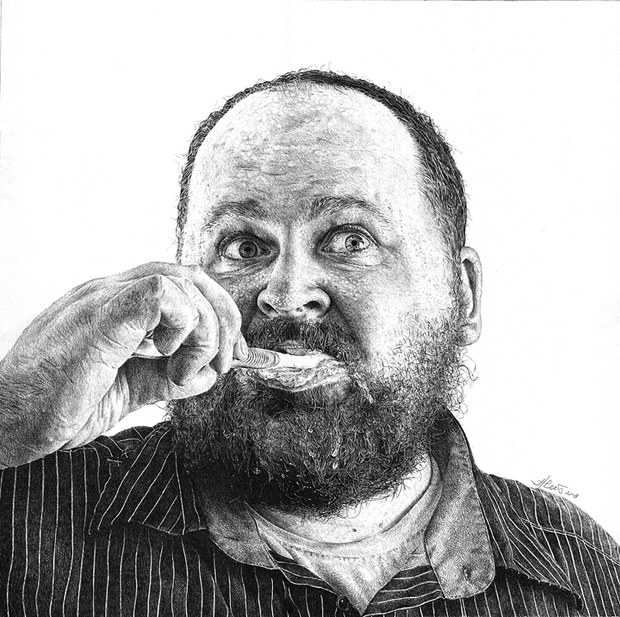 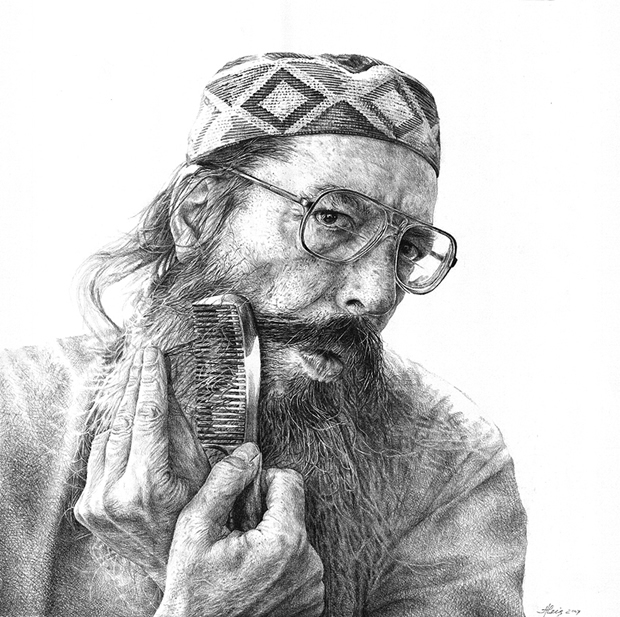 Drawings from his website “Please Stop,” “Blind Musician” and “Tartu Spirits” – all created in ball point pen – demonstrate the artist’s ability to detail his surroundings, while work such as “Eye,” “Enjoyment,” and close up shots of other drawings show the painstaking detail that goes into creating each piece.